Janet Bradbury was born in the English Midlands and completed her BSc and MSc at St Andrews University, Scotland, before joining the Faculty of Veterinary Science at the University of Liverpool in 1964. Encouraged by her boss, Frank Jordan, she gained a PhD in avian mycoplasmology and pursued this topic for her working career, despite occasional forays into infectious laryngotracheitis. She was appointed Professor in the Veterinary Faculty in 2003 and remains an Emeritus Professor with an honorary fellowship. She taught veterinary microbiology to numerous undergraduate students, and for 10 years was involved in teaching an MVSc in Avian Medicine. Most of Janet’s mycoplasma research focussed on epidemiology, pathogenesis, diagnosis and control, but she was also involved in describing and naming five new avian and one new human Mycoplasma species. She has published approximately 100 peer-reviewed articles. 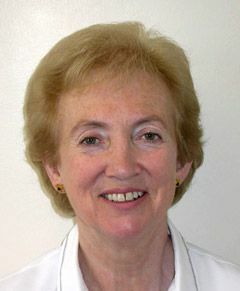 Janet served four years as Chair of the International Research Programme for Comparative Mycoplasmology, and six years as Leader of its Avian Working Team. From 1996-2006 she was Chair of the International Committee on Systematics of Prokaryotes Subcommittee on the Taxonomy of the Mollicutes, and co-authored the revised Minimal Standards for Description of New Species of the Class Mollicutes. She also served as Secretary-General of the International Organisation for Mycoplasmology (IOM). Janet was co-editor of the 6th edition of the book Poultry Diseases. After 16 years as an Associate Editor of the journal Avian Pathology, she became Editor-in-Chief in mid-2009, a job that has filled many of her intended hours of peaceful retirement. Janet is also involved in a mycoplasma diagnostic service at Liverpool University. She is an honorary life member of the WVPA, IOM and British Veterinary Poultry Association and winner of the 1996 IOM Chair’s Award for ‘outstanding efforts to promote the aims, objectives and activities of the IOM’. She was awarded the Gordon Memorial Medal, 2004, ‘in recognition of distinguished contributions to poultry science’ and the Keith Gooderham Waterfowl Lecture Award, 2012. Janet is married, enjoys travelling and tasting good food and wine, and is a beekeeper, although keeping viable bee colonies is proving more difficult than mycoplasma colonies.